Popcorn on the cob is a charmingly old-fashioned way to enjoy this favorite snack. Put the whole cob in the bag and microwave it. 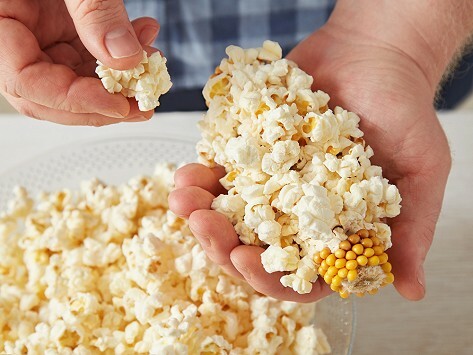 Most of the kernels will pop off, but some will remain and can be eaten right off the cob. All-natural, non-GMO and grown fresh in Kansas. Dimensions: 6" x 2" x 1"
The corn is sourced from a local farm in Kansas. It’s all-natural, non-GMO, and without any flavors or additives. So you can feel good about getting your snack on.